Visit Madame Tussauds in our BIG 3 including London’s most exciting attractions! Combo 1: The London Dungeon + Madame Tussauds + SEA LIFE London. Combo 2: Shrek’s Adventure! London + Coca-Cola London Eye + Madame Tussauds. Combo 3: SEA LIFE London + Shrek’s Adventure + Madame Tussauds. Visit Madame Tussauds as part of our BIG 6, including London’s most exciting attractions! Admission to the following London attractions within a 90-day period from the date you redeem your ticket. Please choose 1 combination package from the options below. Redemption points and their inclusive attractions cannot be altered. Redemption attractions MUST be the first attraction to be visited BEFORE you can visit the remaining 2 inclusive attractions. Customers will be issued with entry tickets for the following combinations ONLY. Combination One: Redeeming this voucher at The London Dungeon will provide entrance to The London Dungeon + Madame Tussauds + SEA LIFE London ONLY. Combination Two: Redeeming this voucher at Shrek’s Adventure! London will provide entrance to Shrek’s Adventure! London + Coca-Cola London Eye + Madame Tussauds ONLY. Combination Three: Redeeming this voucher at SEA LIFE London will provide entrance to SEA LIFE London + Shrek’s Adventure + Madame Tussauds ONLY. Your tickets will be valid for 90 days from the date you redeem your voucher. We’ll send you an e-ticket by email. Your e-ticket must be redeemed at the redemption point, where you will receive an entry ticket to each attraction. Your tickets will be valid for 90 days from the date you redeem your voucher at Madame Tussauds. 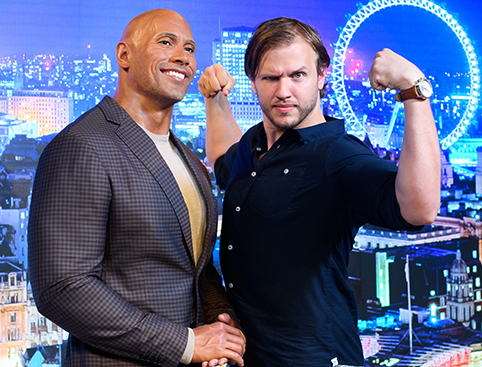 Your e-ticket must be redeemed at Madame Tussauds London, where you will receive an entry ticket to each attraction. Don’t Miss: The chance to get up-close-and-personal with your favourite celebs! Ever felt like you were destined for the dizzy heights of fame and fortune? 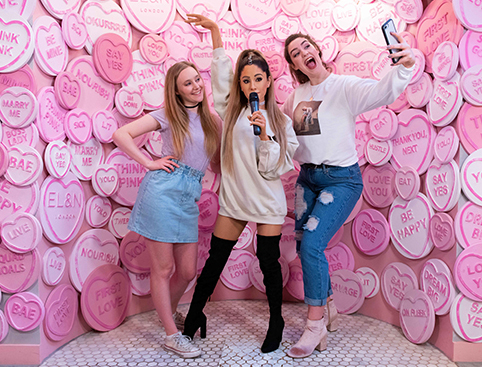 Then you’ll feel right at home at the original Madame Tussauds, one of London's most popular attractions filled with astonishingly lifelike waxworks of our biggest stars. Get ready to strut your stuff down the red carpet, strike a pose for the paparazzi and party with Hollywood stars like only an A-lister can! Get sporty in the interactive Sport Zone, where you can join Lewis Hamilton on the track or beat Beckham as you score a top-class penalty. Take the stage with Britney Spears, meet Barack Obama in the White House or have a photo with The Queen on the Royal Balcony. This is one A-list party you’ll definitely want to RSVP to! Be sure to book your Madame Tussauds ticket in advance to avoid the queues with Faster admission. Tom Hardy joins the A-List Party this Valentine’s Day! Cuddle up with the English heartthrob on his very own leather sofa and feel his heartbeat. Yes that’s right – his heartbeat. The latest addition to Madame Tussauds London’s collection comes with its very own beating heart! And that’s not all – once you come up close and personal with the Hollywood star, you’ll soon realise his chest is actually warm. It just couldn’t feel more real unless Tom Hardy actually sat there! Star Wars fans can get the ultimate selfie with Han Solo, Chewbacca, Yoda and other legendary characters in this epic new experience featuring the most iconic movie moments! Extended opening hours apply at peak times and over the UK summer holidays. We recommend that you check specific opening hours with the attraction before you visit. Please note that Madame Tussauds is closed on Christmas Day. The busiest periods at Madame Tussauds are between 12 noon and 3pm. All under-16s must be accompanied by an adult aged 16 or over. To get on the Spirit of London ride visitors under 1.2m must be accompanied by an adult aged 16 or over. The majority of facilities and entertainment are designed to be fully accessible to disabled guests. However the themed ride ‘Spirit of London’ requires some physical endeavour to board and disembark, and is therefore unfortunately not accessible due to health and safety considerations. IMPORTANT: For safety reasons the venue can only admit 3 wheelchair users into the attraction at any one given time. It is therefore essential to pre-book a timeslot in advance. Please contact us on 0844 873 0070 before booking and we will advise you further. Until September 2018 the lift facilities will be under going refurbishment and as such will not be in use. Unfortunately during this time any guests who require the use of the lift will not be able to visit the attraction during this time. We apologise for any inconvenience this may cause. Children are classified as aged 4 – 15 inclusive. Under 4s go free. Entrance to Madame Tussauds London. Admission to the Sherlock Holmes Experience. Tickets for this can be purchased at the attraction for £5 (subject to availability). Admission to the Alien: Escape Experience. Upon arrival please exchange your printed e-ticket at Ticket Office - 1 (Door 1) of the attraction in exchange for a timed ticket. PLEASE NOTE although entry through this door is generally faster than the usual entry queues, during school holidays and weekends the attraction is extremely busy and long queues should be expected through all entrances. To enter the attraction and begin your experience at your specified time slot you will go to Entrance - 2 (Door 2). 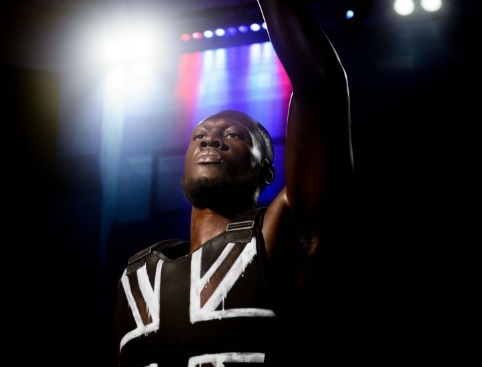 Madame Tussauds is home to a host of celebs and is always adding more! The ultimate celebrity power couple have been honoured with new wax figures at Madame Tussauds – just in time for Brad’s 50th birthday! Brad and Ange are "premiere ready" and displayed at their red carpet best, with Brad in a sophisticated black suit and tie and casually tousled hair, and Angelina the epitome of glamour in a stunning blue evening gown with hair coiffed into an elegant up-do. Get up-close with Harry, Niall, Zayn, Liam and Louis - or at least their very lifelike wax figures – as they take up permanent residence at Madame Tussauds London! Get right next to the band for the perfect profile photo with the 1D boys – the figures even wear clothes donated by the boys themselves! The internationally-acclaimed singer/songwriter, Oscar-winner and MBE recipient can now add the honour of her own Madame Tussauds likeness to her list of achievements! Adele’s wax figure is styled to perfection in a glamorous black dress, in a display that pays tribute to her show-stopping live performances. A new figure of Her Majesty was unveiled to mark the Diamond Jubilee – this is the 23rd figure of the Queen at Madame Tussauds. Madame Tussauds London welcomes multi-award winning actress and nation’s sweetheart Kate Winslet with a brand new wax figure. The Titanic star topped a visitor survey to name Britain’s best leading lady, beating Dame Helen Mirren and Dame Judi Dench. 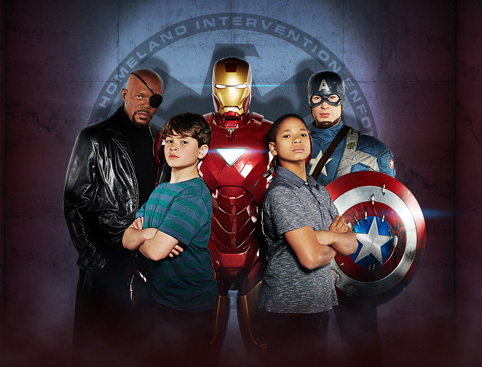 Some of the world’s best loved Super Heroes are brought to life through the magic of 4D animation, interactive themed areas and astoundingly realistic Madame Tussauds wax figures! Tom Daley the British sports star dives into Madame Tussauds with a dramatic action figure; perfectly captured in mid-dive as he soars towards the water. The Duke & Duchess of Cambridge join the Royal line-up in time to celebrate their first Wedding Anniversary! Madame Tussauds Tickets - London is rated 4.4 out of 5 by 9. Rated 5 out of 5 by Pattie BJ from Excellent day out. Great way of booking. Really busy but well worth it. Rated 3 out of 5 by EmmaIngwall from Terrible que Wonderful once we got in, but terrible que with only one (1!) cashier opened! We could not believe it! Rated 4 out of 5 by jono21 from fantastic day out for all ages I bought the tickets on line and saved a mint, we had a bit of a wait but what can you expect. I would encourage people to buy on line. Rated 3 out of 5 by Debbie B from Great attraction I went with my 13 year old son you thought it was brilliant. Enjoyed getting up close with statues and taking selfies with celebrities. Biggest draw back was having to wait in fast track queu for 1 hour 30 mins. It was half term but advised even though had fast track tickets which were not brought from Madam Tusades direct didn't give us fast track access. Rated 5 out of 5 by richardelyharris from Great day out! Bought the quick entry tickets as they were so much better value than when buying direct and we certainly had quick entry. Great experience, perhaps just a little too busy and would have benefited from a little more control from staff when trying to get photos. The 4D was excellent! Rated 5 out of 5 by Vasi from Great time:) Me and my boyfriend enjoyed very much to madame Tussauds,I can recommend to everyone this type of ticket.Perfect deal and ideal to enjoy with your friends and family.